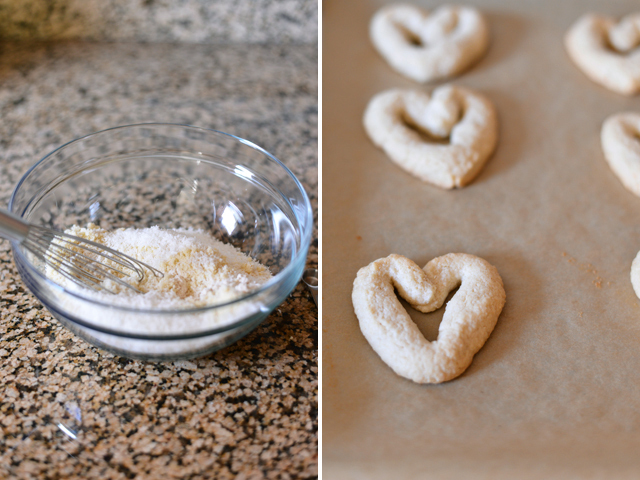 I am loving these sweet little heart cookies. They are light, not too sweet, and have the perfect flavor combination of almond and coconut (a combo that I have also used here and here). The dough is made with almond flour, oat flour, and shredded unsweetened coconut, giving them a delicate texture while also making them gluten-free. I especially love how thoughtful (i.e. imperfect) these free-formed hearts look. They have a charm about them, as if they were drawn by a little girl–making these cookies all the more special. In a medium bowl, whisk together the almond flour, oat flour, coconut, and salt. Set aside. In the bowl of a stand mixer, beat the butter and confectioners sugar on medium speed until light and fluffy. Add the egg yolk and almond extract, and beat to combine. On low speed, slowly add the reserved almond flour mixture and mix until just combined. Wrap the dough in plastic wrap and chill in the refrigerator for 30 minutes, or until the dough is firm enough to work with. Meanwhile, preheat the oven to 350 degrees. Take one tablespoon of dough at a time and roll into ropes about 7-inches long. 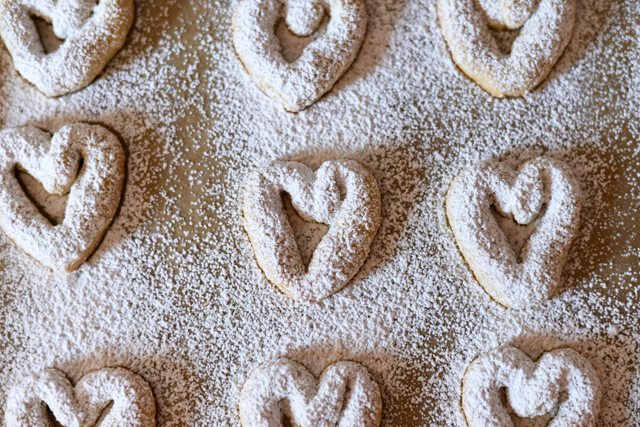 Shape each rope into a heart and place on a parchment paper lined baking sheet, leaving an inch or so of space between each cookie. Bake for 13 to 15 minutes, or until the edges of the cookies start to turn golden brown. 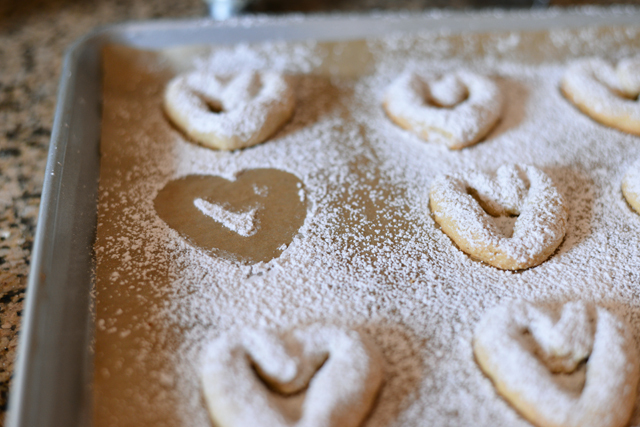 Place the baking sheet on a cooling rack and let the cookies cool completely before dusting with confectioners sugar. These are the cutest cookies. And I love the combination of almond, oats, and coconut! Two of my favorite flavors! Do you think they would ship well? OOOHHH these look so pretty. and I’m sure absolutely delicious!